Moving to Japan...can't take the toy with me. Easy enough to replace there. Read Alex's report on the first post and it mentions where the STi will come in? sweet. why are you moving there? He is in the Navy and got orders over there. Wow, Thank God I Got My '05 Sti Before This Thing Came Out! Do They Think We Want To Look Like Mazda's On The Street Now? What Is Wrong With Subaru? We Want To Be Different! Don't They Understand That! its pretty much all Evo from here..... on the other side everyone who has a 04-07 STi just had their stock go up, cuz now everyone will be looking for a used STI (04-05) to buy, so keep those STI's! From Neon to xover corolla/mazda/chrysler with a rear end that looks like a volvo. They should fire all their [email protected]#$% designers and hire the folks that brought us the s2000. Geez, Subaru just can't get it right! This is a WRX not an econo mobile. I was expecting a "wow, gotta get one" presentation. Geez, if it wasn't for the performance and its heritage, no one would buy this car! i wonder if the hatch is going to have roof rails like the wagon. 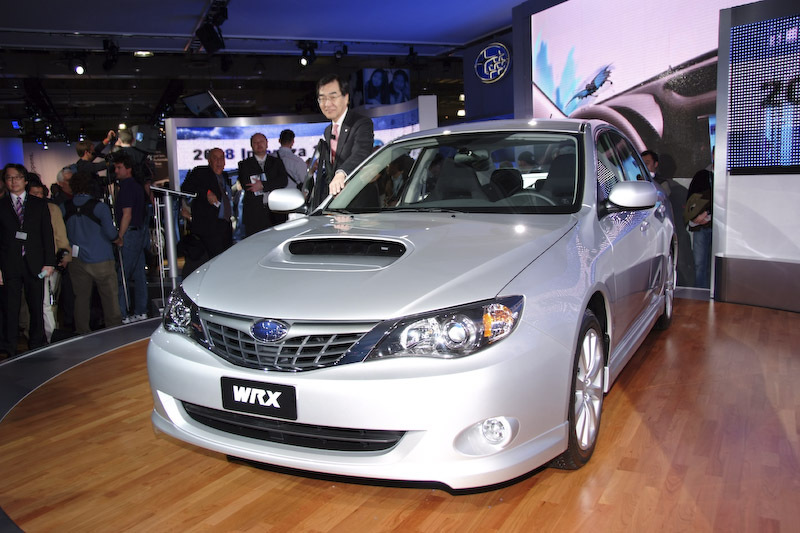 since there is no longer going to be a wagon wrx. +1. Hopefully it will be an option. If you all don't like it....don't buy it. Thanks! I am sure roof rails will be available. Even one of the Tribeca's at the show did not have them while its standard on those cars. Remember, these are preproduction cars.